Today I checked the mailbox after coming back from the library. I noticed another letter from the IND. My VVR (identification card) was ready for pick up! Twenty days after the appointment with the IND – not too bad. So I took a trip to Stadhoudersplein 24 (where the main IND/Gemeente offices are in The Hague) to pick up my identification card. I am now 100% legal and have an official address in the Netherlands. Most amusingly, the back of the card has Marco’s name on it, as he is my registered partner. 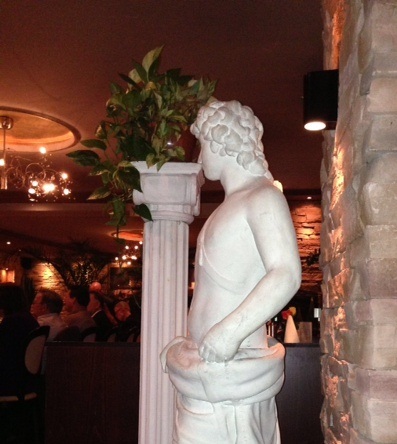 To celebrate, Marco and I went to Athene Palace, a Greek restaurant in The Hague which I have blogged about before. 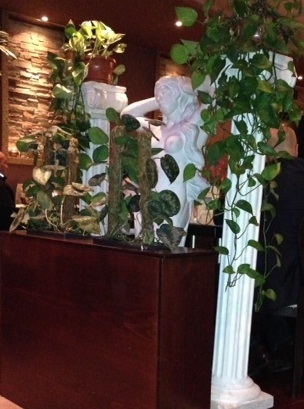 This time I had #102 (Rhodosschotel), which has lamb chops, chicken filet, souflaki and gyros. As is the typical Dutch tradition, afterwards we had a cup of coffee (cappuccino for Marco). And near the end of the meal, the conversation switched to our upcoming wedding later this year. 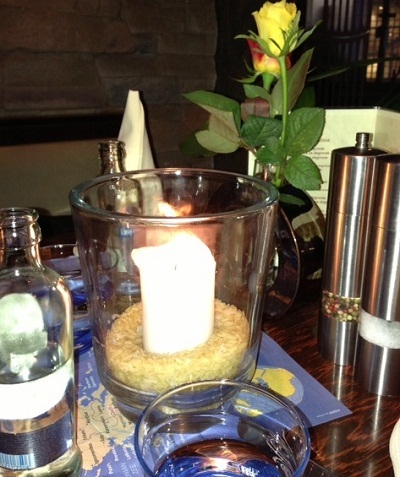 Offiicially we couldn’t do much stuff with the wedding until now, as I needed to be an official resident of The Hague. But now it is time for wedding talk… it’s happening! Maybe three and a half… That’s how long it took to get approval for my VVR (residency permit). Marco and I had our appointment with the IND and The Hague’s GBA this past Friday on the 11th, and when we came home yesterday the approval letter was already in the mailbox. 1. I am American (not a country they typically scrutinize). 2. I already had my MVV (not required for Americans) so I had already received permission to move here. This is just the approval letter though. 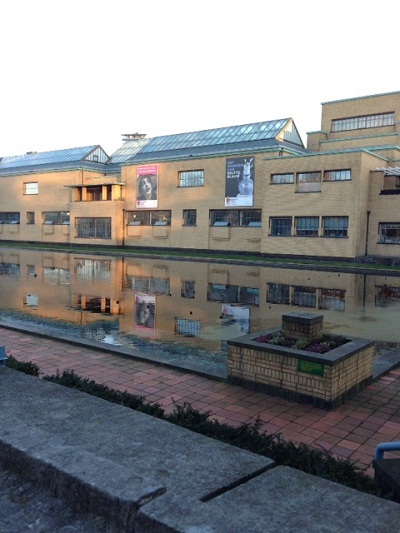 Since we live in The Hague, the visit to the GBA and the IND are combined into one. IND had a quick turnaround, but the GBA might take 2-3 weeks more. So the letter I received said that I can’t come pick up the document yet – probably because the GBA has not assigned me a BSN yet. I will receive another letter when everything is truly ready to go. Today Marco and I went to our scheduled appointment (afspraak) with the IND to set up my VVR (permanent residency). This also included a meeting with the GBA (…Gemeentelijke Basisadministratie persoonsgegevens! ), otherwise known as the department who keeps tabs on every single citizen of the Hague. You are required to register. The appointment went rather smoothly – as mentioned, we first met with an official from the GBA and I turned over one of the official copies of my birth certificate (don’t worry mom – a long version, not the fragile original version!). Then we waited a few minutes for the IND appointment and got that sorted. I had my fingerprint taken digitally, which was interesting because the machine was rather finicky. Eventually they ended up just trying the index finger on my left hand instead of my right, and it worked a bit quicker. Then my fingerprint was taken again at a different window, and then it was done. The VVR should arrive in 6 to 7 weeks. I hope! So I went back to the city yesterday morning to pick up my passport from the Dutch consulate. The entire MVV sticker is large enough to pretty much take up the entire passport page. It is a temporary visa which allows me to enter and leave the country as needed (though it’s not in the plans to come and go THAT early on). Within 8 days of arriving, one needs to apply for permanent residency. So oh joy, back to the IND again. But at least we have a break for a few weeks! But we’re not in trouble at all – I just have to go back next week. AGAIN. 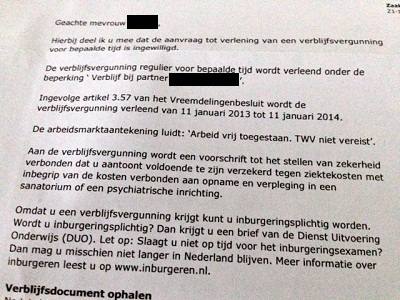 A few weeks ago, Marco received the approval letter (in Dutch) from the IND. After this, I expected a letter from the Washington consulate (in English), as that is what the last official correspondence had said – when I was approved, they would send me a letter by mail. They also actually physically took my passport. Apparently they don’t do MVV stickers at the NYC consulate (although they said it was just a visa sticker – I don’t get the MVV sticker until I get to the Netherlands I was told). So the passport needs to be mailed to the Washington consulate, and then back to New York City… that takes about 5-6 business days. So early next week. Still time – no problem. But still – what kind of logic is this? Sheesh. The following is a timeline for what Marco and I had to do when we were forced to get a MVV. In July we found out on the Immigration and Naturalization Service (IND) website that the law for “Family Migration Measures” was changing. That law said that effective Oct 1 we would need to already be married before I moved to the Netherlands. As we want to get married on Dutch soil, we decided to submit a request for an MVV (provisional residence permit) to get into the system prior to the law changing. Once started, MVV requests take up to three months. We had to get a move on as I wanted to move in mid December. Of course, it’s quite possible the law will be repealed due to a new government, but for now it is currently in effect. Weds July 18 – We found out the law for “Family Migration Measures” was changing. The above subject means “Family Migration Measures”. Or, in simple terms “One big headache”. You see, the previous Dutch government passed a law stating that to form a family – i.e. what Marco and I were officially doing — required both parties to already be married before the foreigner moved to the Netherlands. Originally it was supposed to take effect July 1, which was delayed. But in mid-July we got word that it would take effect in October 1. But my last day of work is December 14, and I cannot leave any earlier. Although there has been some dispute, the law is still technically in effect. So, briefly: as we wanted to get married in the Netherlands in 2013, Marco and I had to get into the IND’s system before October 1. The only way to do that was to turn in an MVV form (temporary residence permit request) prior to that date, even though Americans are normally exempt. Since Americans are exempt, it caused a lot of headaches trying to get the process rolling as US consulates don’t really handle many requests. The MVV application was officially received at IND on September 3. On November 9, Marco received word that our MVV form had received approval. So it is official – after getting through the first of many red tape situations, I can now move to the Netherlands! All of this craziness went down in mid-July about a week before his birthday. Twice IND told us I had to take the civic integration exam if I wanted to submit an MVV (Americans are normally exempt from that as well). So Marco dutifully paid 350 euros for a test, and I studied my heart out for three weeks and sacrificed sleep. After three weeks or so, we were given official confirmation that we did not have to take the test. He is still waiting for his refund. In total, our lives were pretty much hell for 6 weeks until we were able to submit the form in early September. As all sources of information said Americans did not have to apply in advance before the move, we were caught unprepared in terms of documentation. Of course, it seems so long ago already, as it is already November. But I can say we were definitely getting a bit nervous the last week or so, as we haven’t been able to book any plane tickets yet. We will this week – we are hoping to get confirmation from the Washington consulate sent to my mail address, in addition to the letter Marco already received at his Dutch address. Ugh. This entire process annoyed me so much. Even worse, it mad me feel guilty since one of the reasons we decided to live in the Netherlands was because it would be so easy for an American (or any 1st world country citizen) to move here. Nobody, including the IND knows why they pushed this rule through.. well it’s because of the right wing party that was briefly in our government, but there is no logical reason to have it apply to *everyone*. At least we knew they would grant her the permit. No reason to deny it to a person you’d usually welcome with open arms. So go find your old ‘Europe’ albums. The final countdown has started! Yes! Yes! Yes! Next thing to work on: figuring out Dutch health insurance. Actually, I don’t have as much to figure out as I thought. I had mentioned the predicament to Marco and this morning I woke up to a PDF from Oom Verzekeringen (Oom insurance) that Marco had thoughtfully sent to me. According to their page it seems that the best fit would be Global Visitor Insurance, since in the end this is really just short term insurance until I can secure a residence permit and find a more permanent solution. The page specifically mentions it works until you can get a residence permit, so yay. If anyone over in America is wondering, it’s illegal to not have health insurance in the Netherlands if you live there. I like not getting fined. I am not completely clear if you need it as soon as you set foot in the country, but you definitely do on the day you get your residence permit. I still remember Marco explaining Dutch health insurance — it’s not tied to your job at all. Which is in some ways nice, since right now my work decides which health insurance is best for the college, and you only have a few tiers of coverage to choose from. There’s usually a lot of grumblings from my coworkers, but I have been lucky enough to not have been turned upside down and shaken so all my money falls out… yet… (some of the stories my coworkers tell me sound like downright highway robbery). Mind you, I am not a user of health insurance in general. So far under this job I have not used anything from my health insurance, though I have faithfully visited the dentist every 6 months for a routine checkup (dental coverage is separate from health insurance for me). But I am glad to see it doesn’t seem to be that difficult. 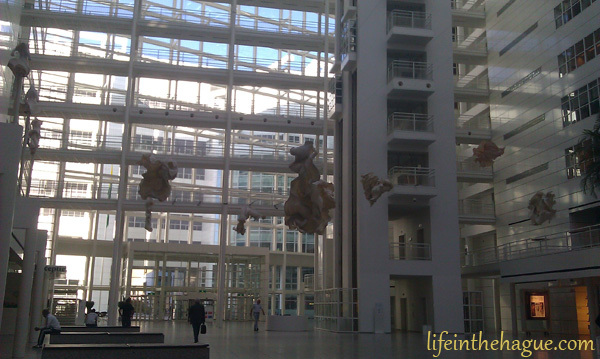 Though if you’re an expat with a Dutch health insurance horror story, feel free to share! So today Marco went to the city hall in the Hague to get his birth certificate, in preparation for the forms we will have to fill out. He got lucky – he was able to get it printed right then and there, after a bit of waiting. My birth certificate has been more of a hassle for sure. I originally faxed it 3 weeks ago. I emailed them to confirm it arrived and they got back to me two days later – after I was already home and had vacation the next day. So I had to go back to work just to use their fax machine again, as the public library’s isn’t open to the public. Two weeks pass, and I hear nothing. As the estimated time was 7 business days, I grew concerned. I called them yesterday and they said my credit card had been declined (not a big deal – it was a ‘new’ card that I had never used, so probably the activation did not take properly). So I had to bring my debit card in to work today and call them to give them that number. Not sure why they didn’t give me a call to let me know (!) but at least both people I spoke with were very nice about it. So now the birth certificate is back on track, but the quoted turnaround time is still the same as it was before. Argh. But we are slowly getting there. Slowly.